Tickets will go on sale Thursday, March 14, 2019 at 10:00 AM. Alex Meixner, a Lehigh Valley native, leads his band through a tour of musical styles historically prevalent in the region in this special cabaret show. 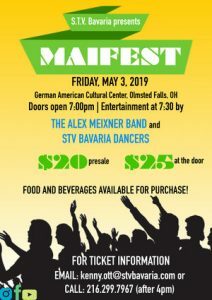 From the polkas of Austrian and German immigrants to the traditional jazz and swing, roots of rock and country sounds- The Alex Meixner Band will captivate the audience with a fun program that honors the musical legacy of the region. The Alex Meixner Band features Alex, a Grammy-nominated performer now residing in South Florida on accordions, horns, and vocals along with some of the most versatile musicians in the USA. Alex has received much acclaim for collaborations with artists as diverse as concert accordionist Guy Klucevsek, Post Modern Jukebox, and crooner Tony DeSare. Legendary Lehigh Valley guitar and Banjo man Jimmy Meyer has performed with musicians of numerous genres and has been featured at the Rock and Roll Hall of Fame in Cleveland, OH. Chris Heslop, from Reading, has composed music for everything from operas to jazz orchestras in addition to leading the Hot Club of Reading at the Berks Jazz Fest and other regional venues. Tom Haller, originally from Baltimore, MD toured with Indie Rock bands and the Grammy-nominated Polka Family Band before joining the Alex Meixner Band 5 years ago as the main touring drummer. The newest member of the band, Paddy King- is featured a young phenom on Fiddle and Mandolin from Port St Lucie, FL.